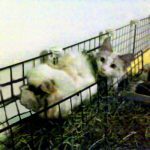 I was able to try this out from the BlogPaws conference in April. I brought samples home and tried them on my girls, and they loved them. I found out later this spring that they had come to Chewy. Everyone seems to be a little hesitant to try them, as no one had reviewed them. I decided to reach out to Caru and get a few more free samples to post about online. Today we have managed to do Word of Mouth to Instagram, Facebook, and Twitter. You can find those accounts on the right side of the page. 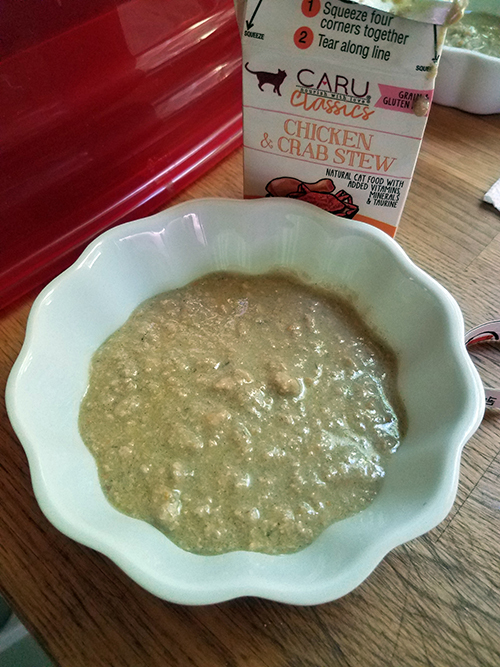 I was already familiar with Caru bone broth from my friend Stacy at PetsWeekly. 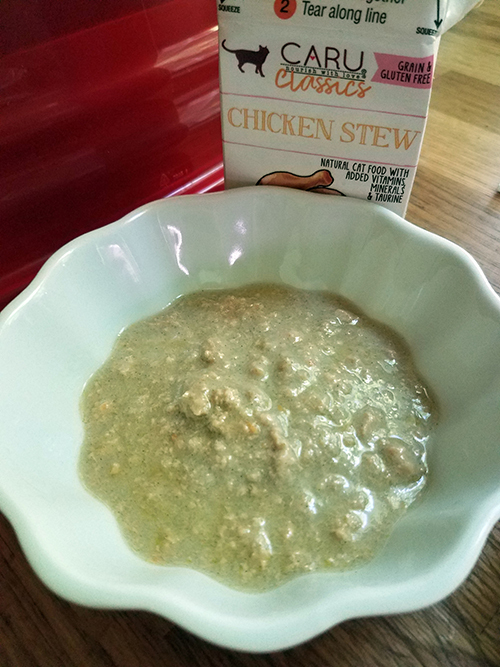 Tommy Gargoyle had gone through his surgery last winter, and we were supplementing his food with bone broth to get added nutrients and glucosamine. 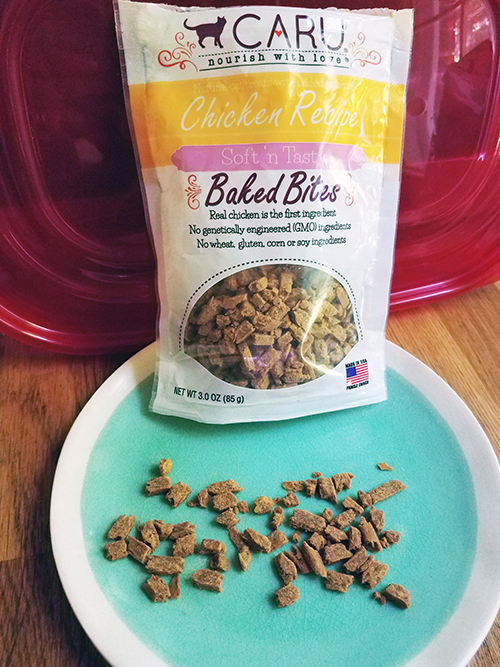 A few months ago, it was even included in Chewy’s Grain Free Goody Box. Now, they do make Stews for your dogs, too. It’s just that I’m a feline home at the moment, so that’s the focus. Chicken and Crab Stew, Wild Salmon and Turkey Stew, Turkey Stew, and Chicken Stew are available. You don’t need scissors to open the Tetra Pak. You tear along the perforated line, pop the corners up, and pour. To close, you just need to flatten the corners and tuck it back closed. No plastic wrap, lids, foil, clips. It’s done. Because of the shape of the package, there is no wasted space when storing your case. Easy to stack, easy to carry around in my hand bag *true story*, and BPA free. 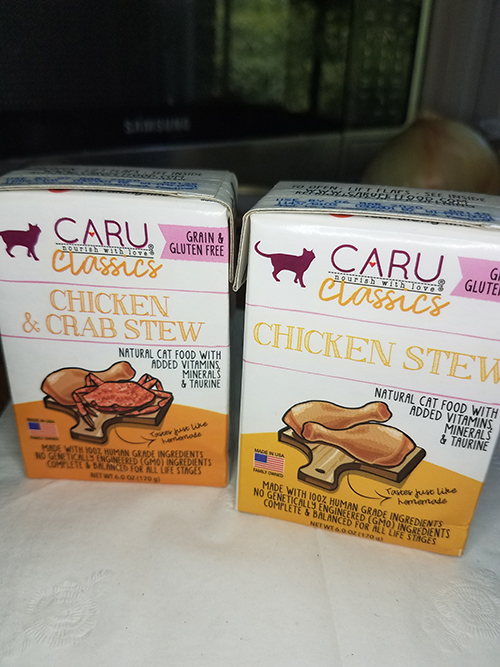 Caru Classic Stews for cats are slow cooked in small batches to look, smell and taste like homemade. Made from 100% human grade, non-GMO ingredients in a USA human food plant. I am tempted to try it myself, but I just ate a piece of fruit because I was guilty of eating a bag of chips. Balance, people. I haven’t tried them on my girls, because everyone here has learned by now that the girls are the pickiest felines in the house, but the boys LOVE THESE. USDA chicken, no grains, corn, wheat, soy, gluten, or meals, and NON GMO. Why do I feel like my fids eat better than I do? 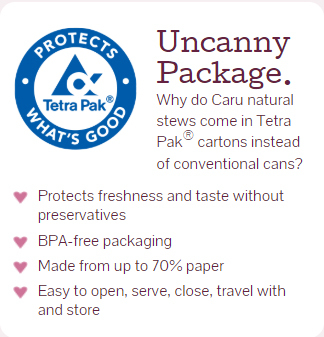 You can easily order your Caru from Chewy.com Caru Classics Stew come in 6 oz Tetra Paks in a case of 12.